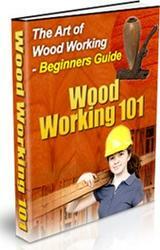 Plastic resin glues, also known as urea-formaldehyde glues, are my personal favorites for cabinetmaking. Their high water resistance makes them good for jobs like tabletops, cutting boards or laminated countertops. With the plastic resin glues, you mix a powder with a catalyst—either water or resin—to form a rigid polymer in the joint. When dry. the glue is similar to hard plastic. It is strong and impervious to cold water; however, it's also brittle, and hot water will eventually soften the cured glue. Uncured glue cleans up with warm water. 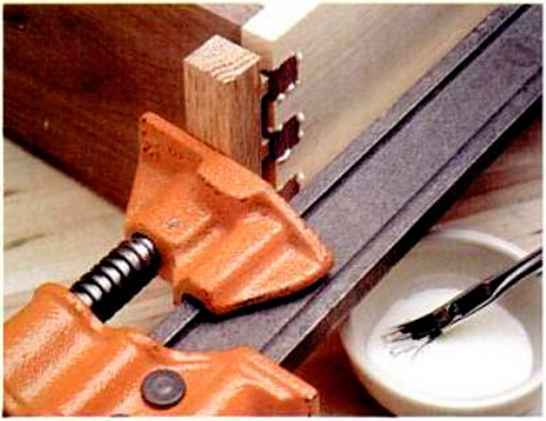 Hide glues are a good choice for joint« that you may want to dwawcnihle later. resin. They reduce clamping time to a couple of hours, depending on air temperature and humidity. Both types of plastic resins sand well and are good for lamination because there is no creep. Plastic resin's rigidity when cured and iLs reasonable assembly time make it my choice for veneering, and I prefer the powder/resin variety. It lias good gap-filling ability and shrinks less than the powder/water type when curing. The powder in plastic resin glue comes in several shades of brown from light to dark, allowing you to tailor the glue to the wood's color. Hie resin can also Ik- tinted with dye stains to make additional hues. The open time and curing time for plastic resin glue varies significantly with temperature—the warmer it is, the faster it sets. Unfortunately, these glues won't cure in a cold shop, because the chemical reaction won't take place if the room is below 70° F (65CF for the two-part variety). I know several woodworkers who buy a cheap electric blanket and throw it over the assembly to help speed curing in a cold shop. Another method is to bombard the joint with radio frequencies (RFs). RF gluing machines arc used in industry, and smaller machines arc made for small-production shops. 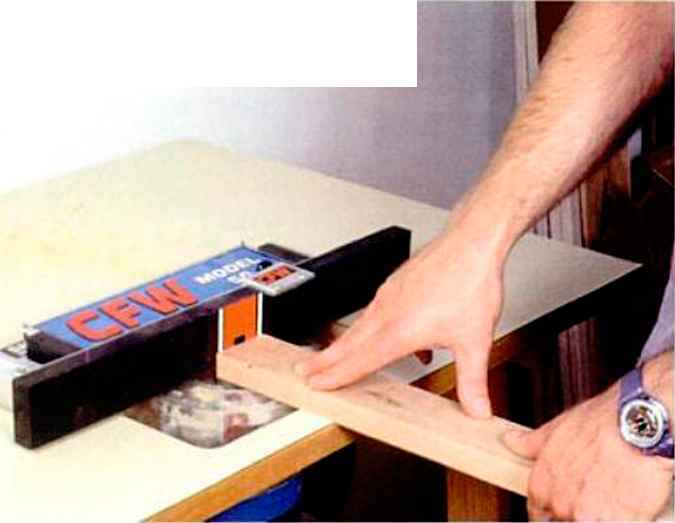 Exposure to the formaldehyde in plastic resin glue is negligible, but the glue can cause skin irritation. Wear a mask to avoid breathing the powder as you mix, and protcct your hands with rubber gloves. Epoxies arc two-part glues that are waterproof and solvent resistant, have very low creep, dry without shrinking and do not require clamping. Epoxy's non-shrinking characteristic makes it an excellent gap filler. You can mix cpoxy with sawdust and/or tint it for use as a wood filler. General-purpose epoxies are available in either quick-set or slow-set formulations. The quick-set varieties harden in anywhere from one minute to 10 minutes and cure in a few hours. Slow-set epoxy can take up to 24 hours to harden and a week to completely cure. Quick-set and slow-set epoxies aren't equals when it comes to water resistance. According to Ernie liporto of Devcon, a large epoxy manufacturer, Devcon's slow-set 2-Ton Epoxy is completely waterproof. Devcon's quick-set 5-Minutc Epoxy and their newer 1-Minute Epoxy are water resistant, not waterproof, and shouldn't be used on objects that will be immersed in water for long periods. Shop temperature is critical with some epoxies, and you should always check the container label for the recommended temperature range. 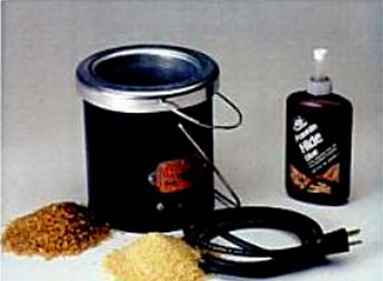 Some epoxies are specially formulated for cold temperature use. System Three Resins. Inc. makes T-88 Epoxy. which works down to 35°F (available from Flounder Bay Boat Lumber, 1019 Third St.. Anacortes. WA 98221.80( >-2284691).